Graydon Carter's relaunch of the snazzy, jazzy restaurant originally from 1932. 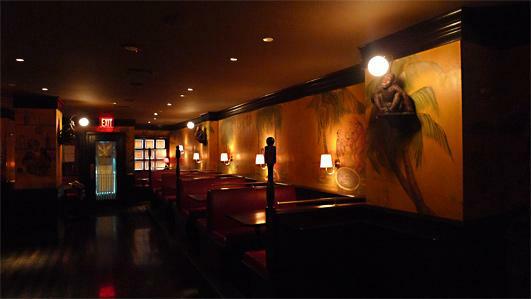 Restored monkey mural in the bar. Celeb power dining from deep upholstered booths in the sunken back. © 2014 UrbanDaddy. All Rights Reserved.